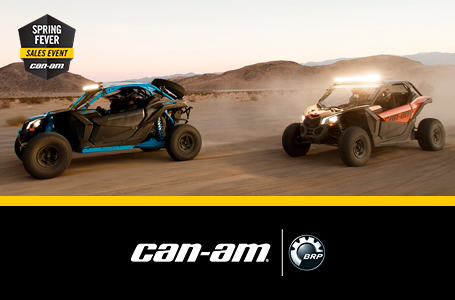 Mon-Fri 8:00 a.m. 5:00 p.m.
Everything you need to go fast and nothing else: X3 900 HO is the ultimate normally-aspirated sport side-by-side vehicle we've ever made—and shares the same race-winning construction as every X3. 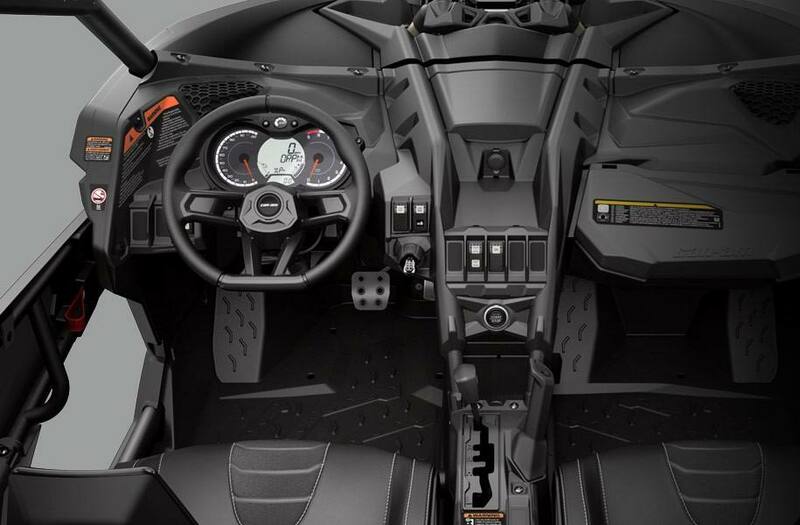 Where will you use the 18-inches of suspension travel? BRP reserves the right, at any time, to discontinue or change specifications, prices, designs, features, models or equipment without incurring obligation. Some models depicted may include optional equipment. Read the side-by-side vehicle (SSV) Operator’s Guide and watch the Safety DVD before driving. For your safety: wear a helmet, eye protection and other protective gear. Fasten lateral net and seat belt at all times. Always remember that riding and alcohol/drugs don’t mix. SSV is for off-road use only. Never ride on paved surfaces or public roads. Operator must be at least 16 years old. Passenger must be at least 12 years old and able to hold handgrips and plant feet while seated against the backrest. Never engage in stunt driving and avoid excessive speed. ©2019 Bombardier Recreational Products Inc. (BRP). All rights reserved. ®, ™ and the BRP logo are trademarks of BRP or its affiliates. Offers valid in Canada only from April 1, 2019 to April 30, 2019. The terms and conditions may vary depending on your province and these offers are subject to termination or change at any time without notice. 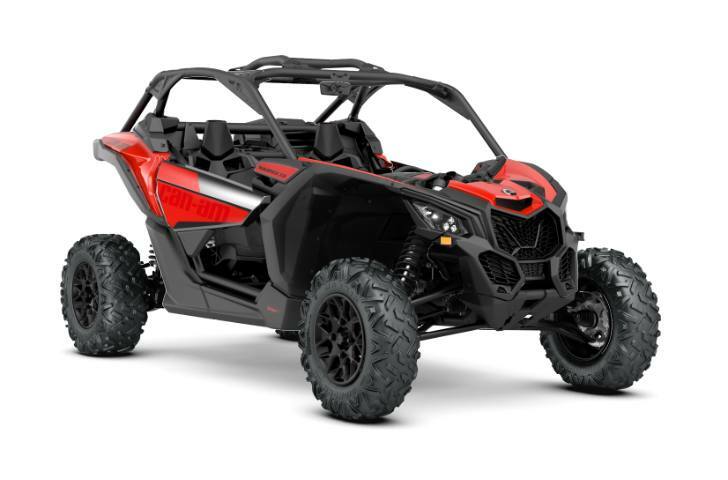 See an authorized BRP dealer for details. 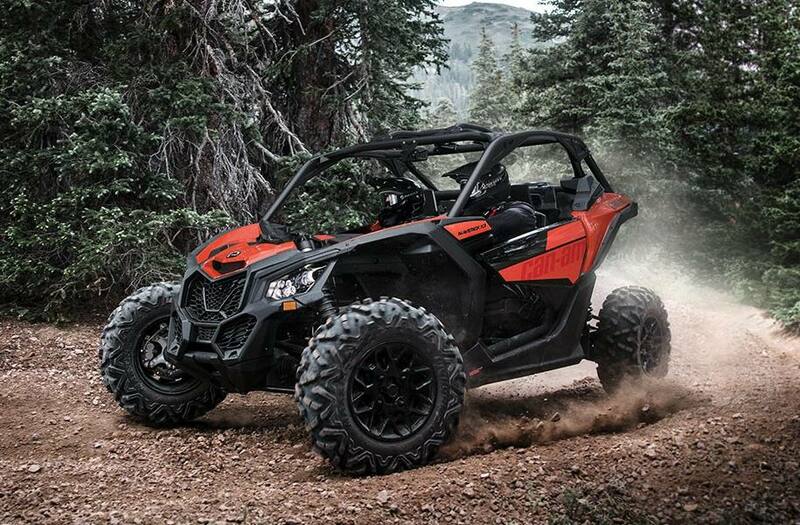 † REBATE UP TO $3,500 ON SELECT 2018 MODELS: Eligible units are select new and unused 2018 Can-Am ATVs and Can-Am side-by-side vehicles. The buyer of an eligible 2018 model will receive up to $3,500 rebate. Rebate amount depends on the model purchased. While quantities last. BRP reserves the right, at any time, to discontinue or change specifications, prices, designs, features, models or equipment without incurring obligation. Some models depicted may include optional equipment. Carefully read the vehicle’s operator’s guide. Follow all instructional and safety material and observe applicable laws and regulations. Ride responsibly and safely. Riding and alcohol/drugs don’t mix. 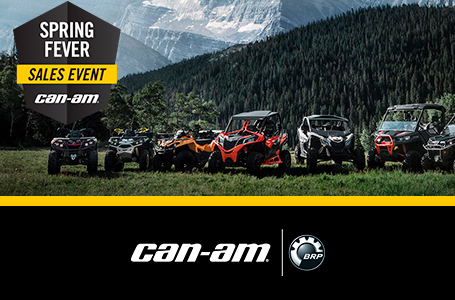 For complete details, see your authorized BRP dealer and visit can-am.brp.com. Mon-Fri: 8:00 a.m. - 5:00 p.m.